Both combine performance and practicality - but which is quicker in a straight line? Given their respective 400-hp powerplants, practical five-seat layout and carmaker heritage, the Porsche Macan Turbo and BMW M3 are closer rivals than first meets the eye. The new M3 comes powered by a 425-hp 3.0-liter twin-turbo straight-six which, when mated to a seven-speed twin-clutch box, takes just 4.1 seconds to reach 60 mph. 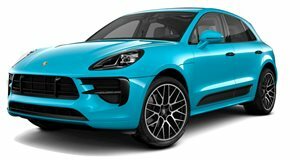 The Macan Turbo also uses a twin-turbo straight-six, albeit 3.6 liters in size with 394 hp. The sporty crossover is taller and considerably heavier than the M3, but offers the same mix of performance and practicality. 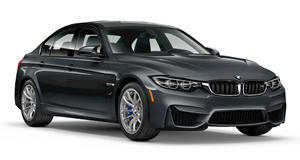 It’s four-wheel-drive setup gives it an edge on take-off, but as you probably suspect, the M3 shows its class in the end.